Introducing: Photoblocks! 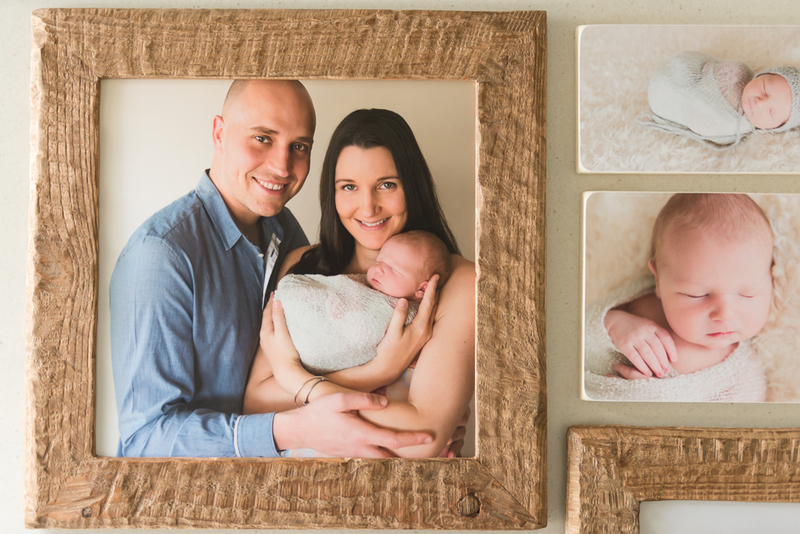 These are my absolute favourite printed products to offer my clients using their newborn and family images. 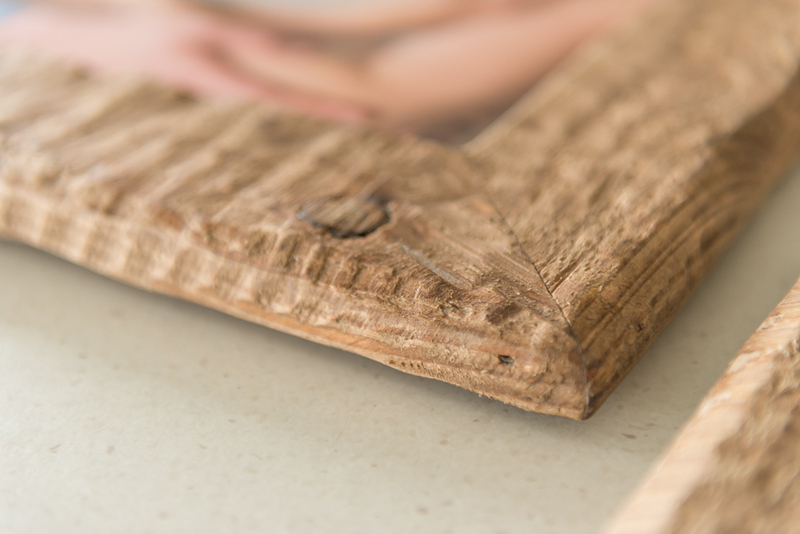 Timeless, professional quality (of course) and handmade with love, these blocks are ready to hang and are thick enough to stand on their own. Easy to grow into big wall collections or separate into smaller groupings, these blocks are versatile and perfect for desks or shelves, coffee tables, bedside tables, you name it! 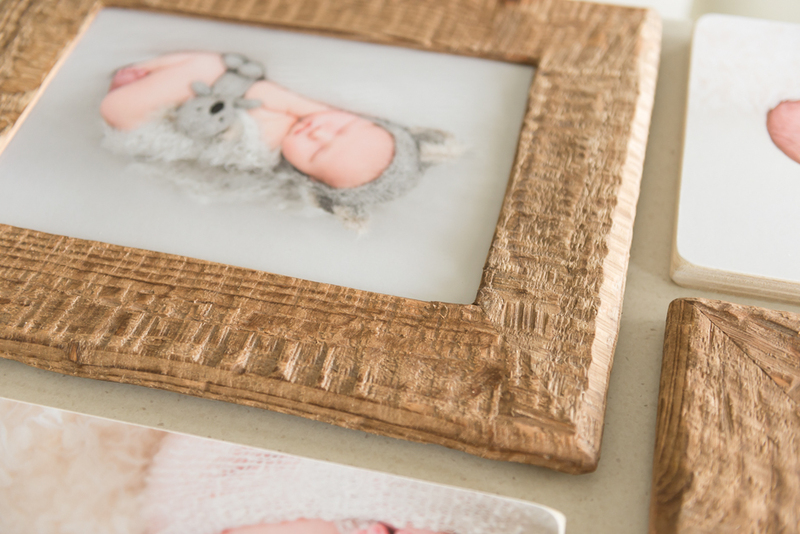 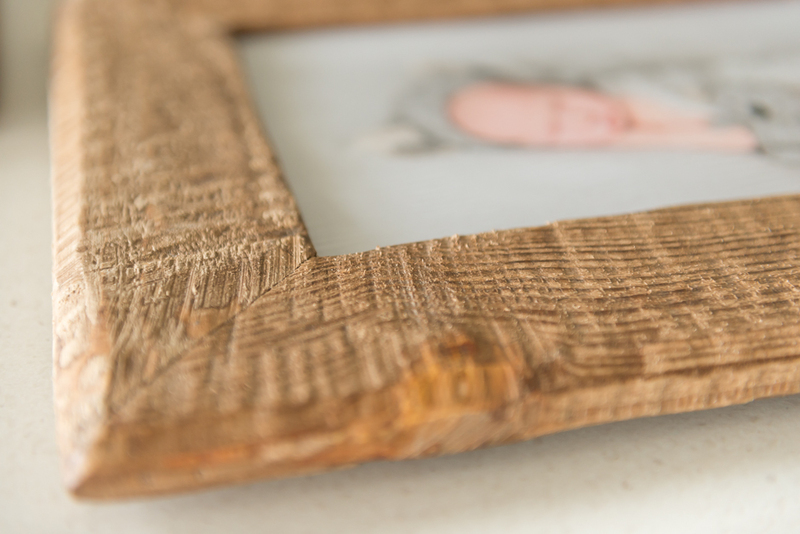 :) With a wide variety of pre-designed wall collections or a la carte options, these include stunning recycled wood frames, oval and round blocks, as well as square and rectangle blocks. And of course like these examples one or two blocks can be hung together on a rope as well. 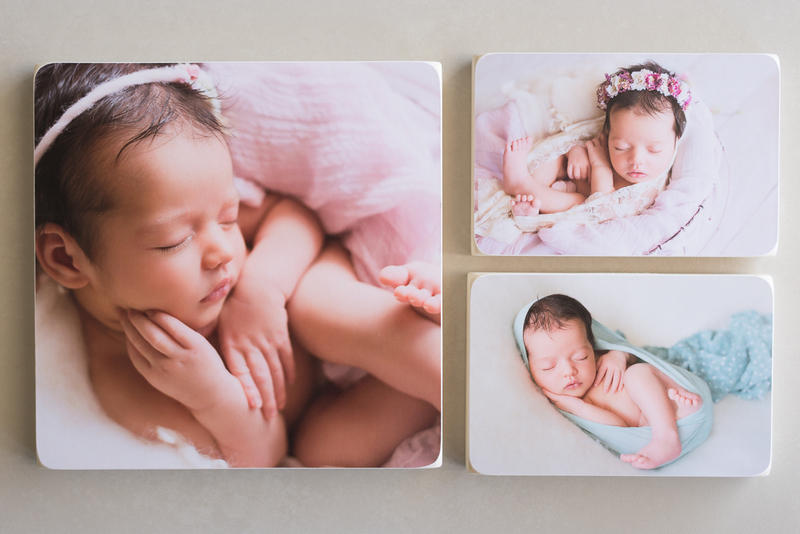 Having such a special time photographed as your baby’s newborn session deserve printed products – something you can physically hold and feel, enjoy from all angles and see daily. 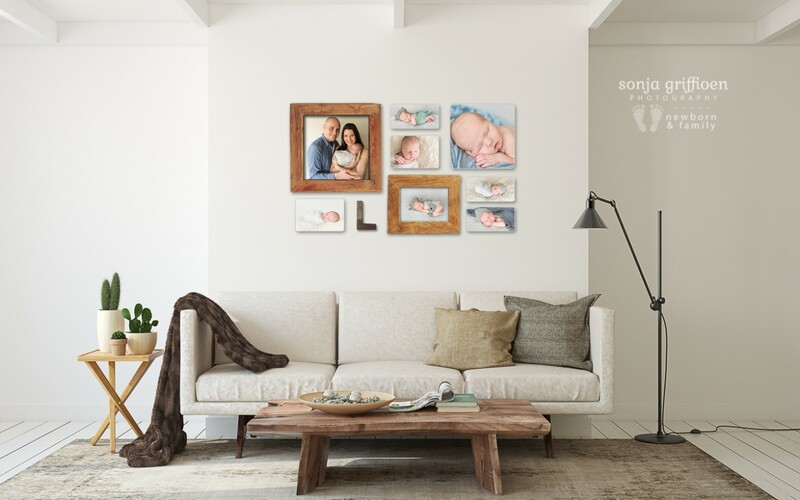 Printed products on your walls act as such great reminders of how small and perfect your baby once was, and as you watch them growing up you can always reminisce and enjoy the memories that surface as you look at those photos on your walls. 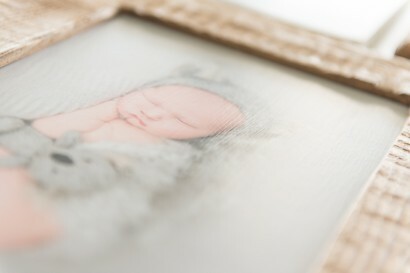 Babies are only newborns for a very short time, yet this is the time you first got to know them, first saw their little faces and features. 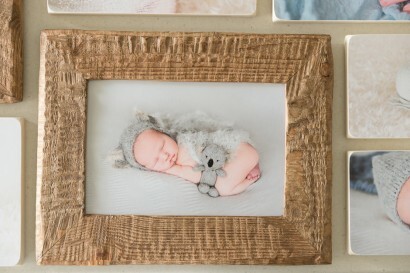 The first time you felt their skin against yours and admired their tiny hands and feet, fingers, toes, and every perfect and unique feature. This time symbolises those first moments you fell in love with them <3 After your newborn session at your viewing and ordering session, I am also able to design mockups using your images to help you visualise what these images would look like on your walls. 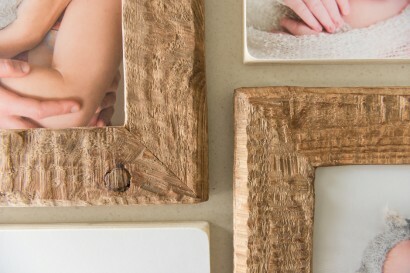 This way I make it as easy as possible for you to know exactly what you’d love in your home. 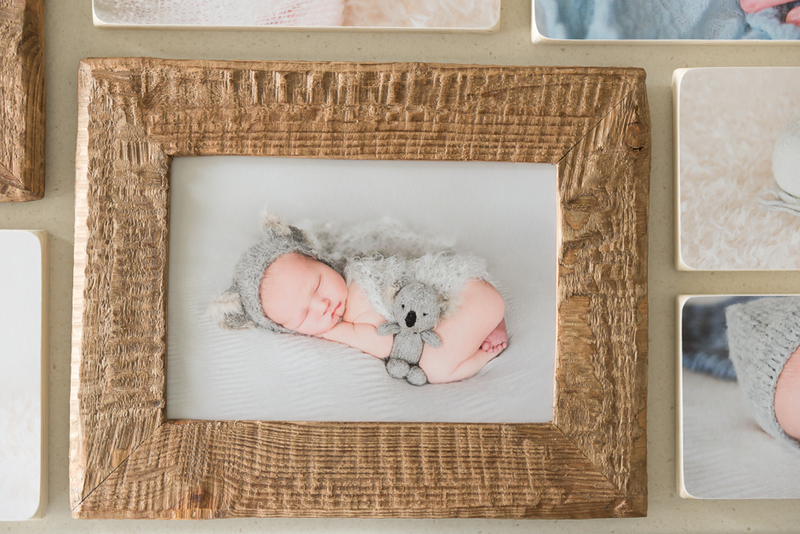 My clients absolutely love this process of seeing their images together in different combinations, being able to know what they will look like together.